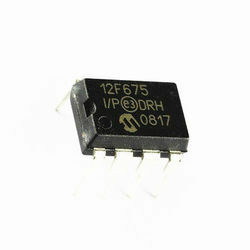 We are one of the leading importers and suppliers of Micro Controller. 8-bit Microcontrollers - MCU 8kB Flash 256B RAM 33MHz 4.0V-5.5V. We obligated to meet the quality standards as per the customer demand. 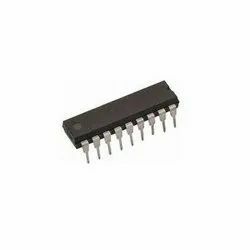 8-bit Microcontrollers - MCU 1.75KB 64 RAM 12 I/O Ind Temp SOIC14. We obligated to meet the quality standards as per the customer demand. 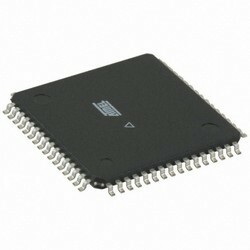 The high-performance, low-power Atmel 8-bit AVR RISC-based microcontroller combines 8KB ISP flash memory with read-while-write capabilities, 512B EEPROM, 1KB SRAM, 23 general purpose I/O lines, 32 general purpose working registers, three flexible timer/counters with compare modes, internal and external interrupts,serial programmable USART, a byte oriented two-wire serial interface, 6-channel 10-bit A/D converter, programmable watchdog timer with internal oscillator, SPI serial port, and five software selectable power saving modes. 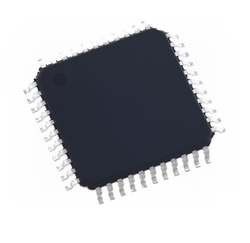 8-bit Microcontrollers - MCU 8kB Flash 256B RAM 33MHz 4.0V-5.5V. 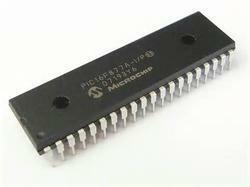 8-bit Microcontrollers - MCU 14KB 368 RAM 33 I/O. 8-bit Microcontrollers - MCU AVR 8KB, 512B EE 16MHz 1KB SRAM. 8-bit Microcontrollers - MCU 128K Flash 4K EEPROM 4K SRAM 53 IO Pins. 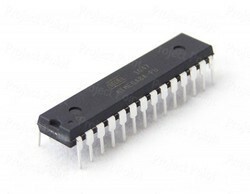 8-bit Microcontrollers - MCU 1 KB 25 RAM 6 I/O Ind Temp PDIP8. 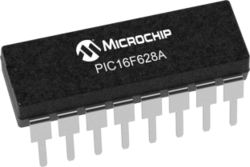 8-bit Microcontrollers - MCU 1.75KB 64 RAM 6 I/O Ind Temp PDIP8. 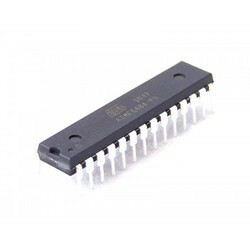 8-bit Microcontrollers MCU 3.5KB 224 RAM 16 I/O. 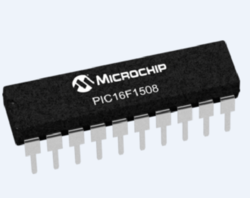 8-bit Microcontrollers - MCU 1.75KB 64 RAM 12 I/O Ind Temp PDIP14.